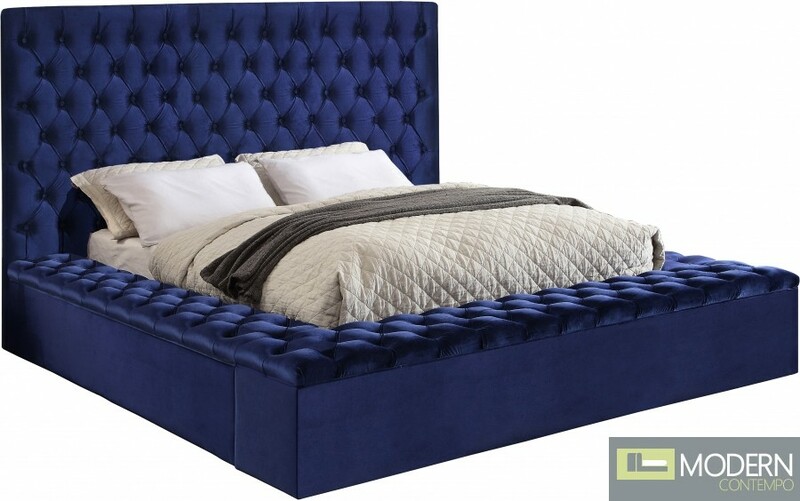 Extend elegance to the bedroom with this Hermes velvet bed. 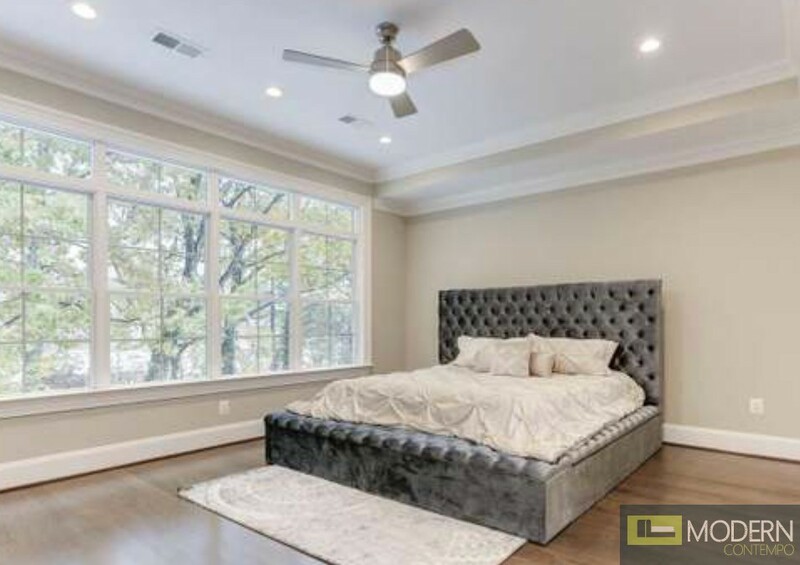 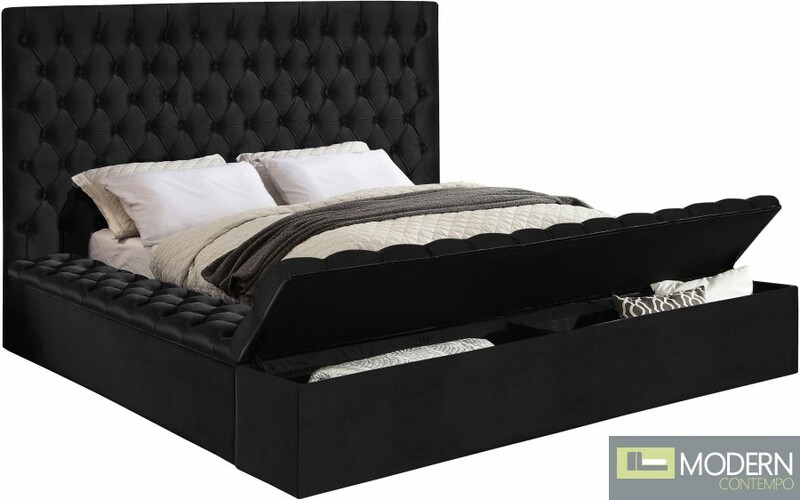 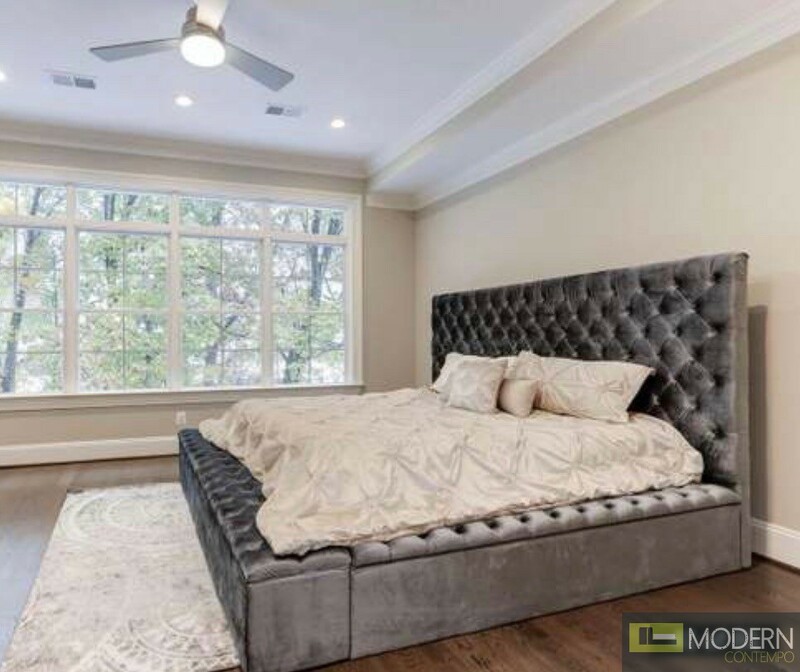 This bed has a rich look, with deeply tufted upholstery along its upper platform perimeter and headboard, ensuring that it is a good fit in modern bedroom themes. 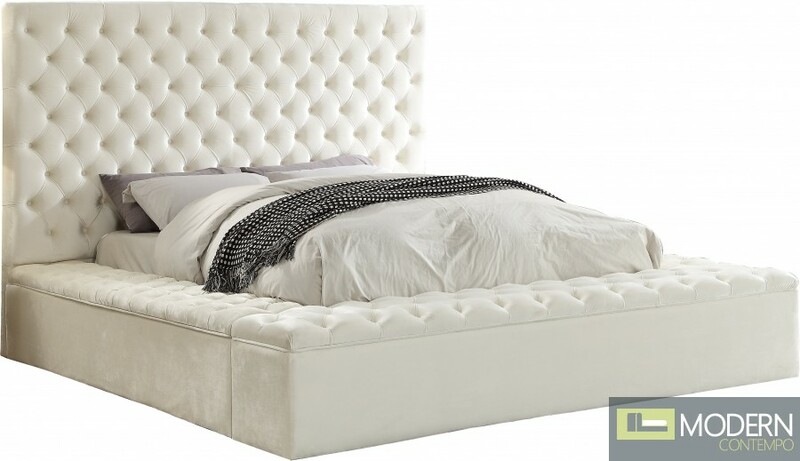 Storage rails and footboard are included to ensure maximum versatility, and the bed comes with full slats, so you can use it without a box spring. 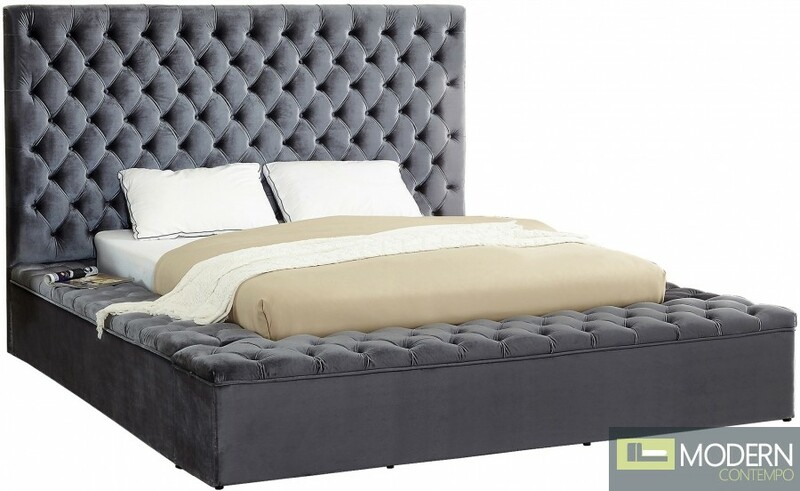 The grey velvet fabric used in its design makes it easy to integrate alongside other furnishings.